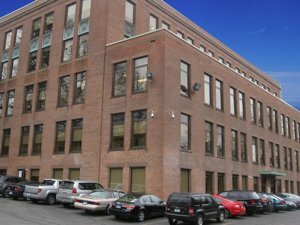 BOSTON, MA: EagleBridge Capital is pleased to announce that it has arranged the sale of 103 Woodland Street, Hartford, CT for $20,750,000. Known as the Saint Francis Information Technology and Finance Center, the five-story, 57,753 sf office building is NNN leased to Saint Francis Hospital & Medical Center on a long term basis. In addition to its unique location, during the course of this transaction, St Francis was in the middle of a merger with Trinity Health. That merger is now complete and St. Francis has become part of one of the largest Catholic health systems in the United States with annual revenue in excess of $15 Billion and assets in excess of $20 Billion. In addition to the sale, EagleBridge arranged long-term permanent mortgage financing in the amount of $15,000,000 for the acquisition. The mortgage was provided by a major Connecticut financial institution.